The campus extends way beyond what the official admission tour shows. This is because campuses are typically located within neighborhoods that are full of exciting places and people. As students begin to schedule admission tours, it is important to encourage them to make the most of their visits – as they will likely be calling one of these schools home for the next 4 years. Get lost: Before or after the official campus tour, walk around the campus, as well as the surrounding neighborhood and don’t be afraid to explore. Chat with students and professors and ask lots of questions – this could be your new home and you shouldn’t be afraid of what you might find. 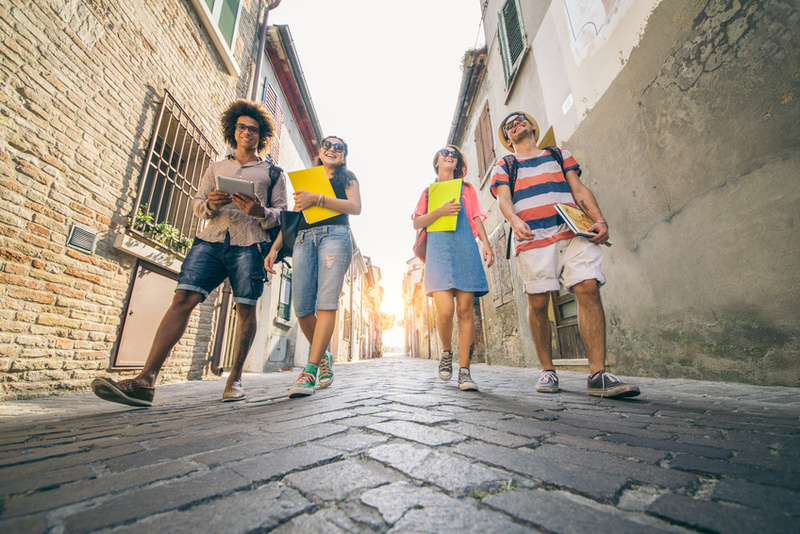 Quiz your student tour guide: Ask your student tour guide questions about the neighborhood after the tour. Find out where students like to hang out, study and grab something to eat. Just make sure your questions are appropriate. Stay a few extra hours or days: Make an experience out of your campus visit. It takes more then an hour tour to know if you like a location. Plan ahead and find out what else may be happening on campus while you are there – sporting events, plays, musical events, etc. Also check out what may be going on in the surrounding area – festivals, parades, etc. Get to know the locals: Visit nearby restaurants + shops and talk to the owners. Get a feel for what life is like and what some of the local traditions are during the year. Try not to visit chains that you have in your hometown to get the true experience.